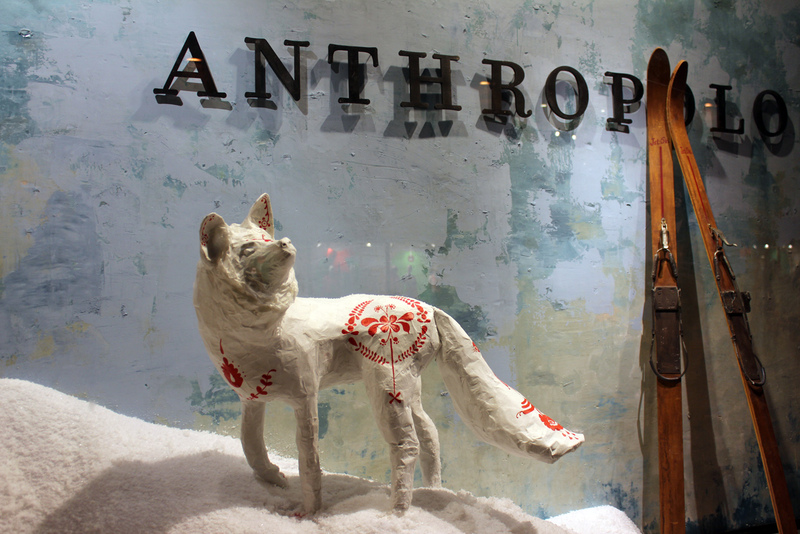 NEW YORK—Nationwide, Anthropologie’s holiday windows celebrate Arctic creatures and recreate their indigenous snowy white environment with intricate cut-paper sculptures and painted window etchings. 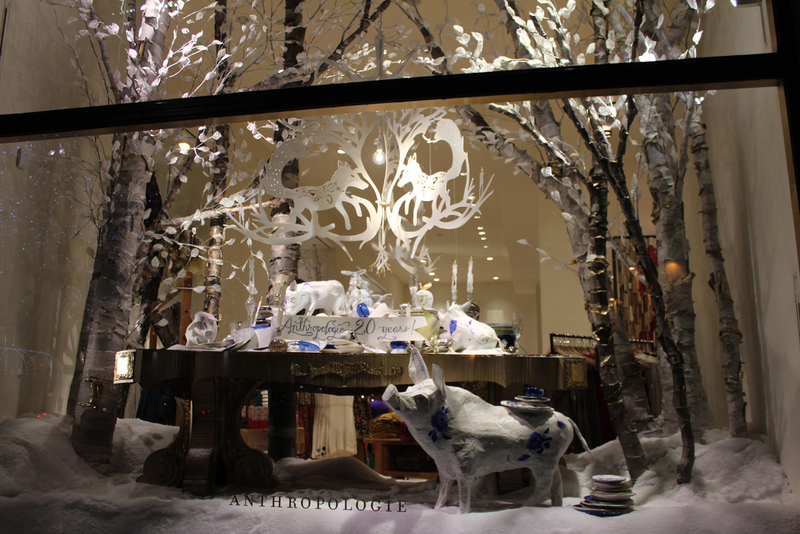 The hand-crafted displays and layered, wintry landscapes are truly enchanting. 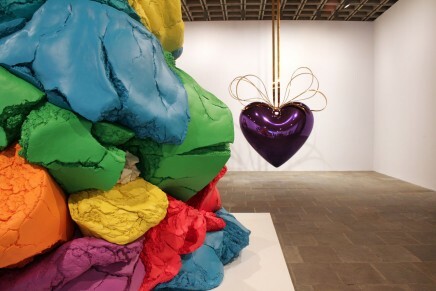 Arts Observer captured images of the retailer’s Meatpacking District and Rockefeller Center windows. 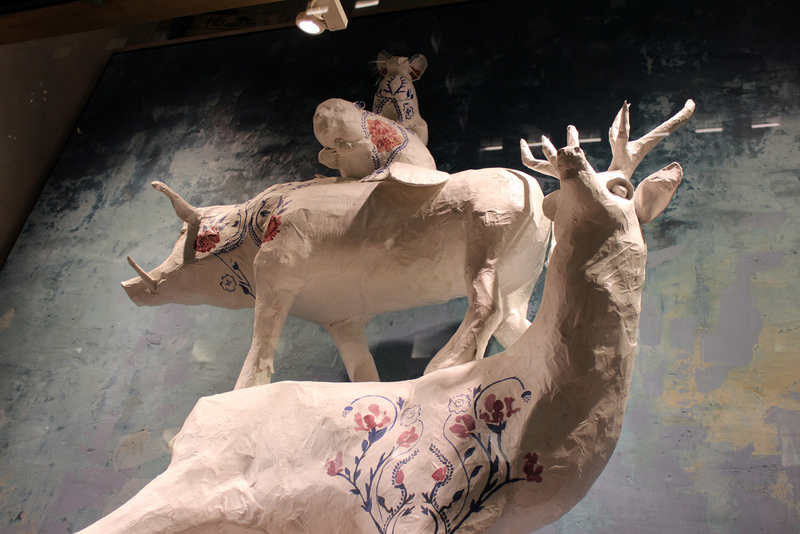 At Rockefeller Center, a series of Arctic animals appear to be crafted with paper-mache. 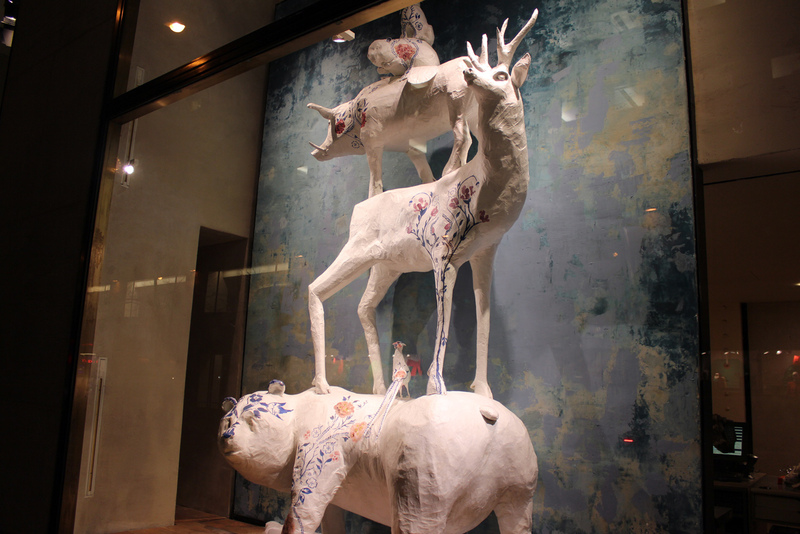 Windows at the Rockefeller Center location of Anthropologie. 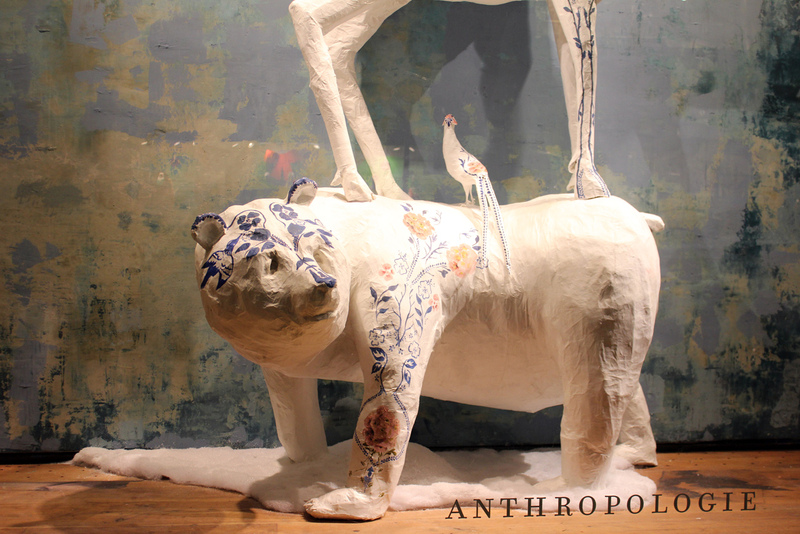 Like the other wintry creatures, the polar bear is adorned with floral paintings that look like elegant tattoos. 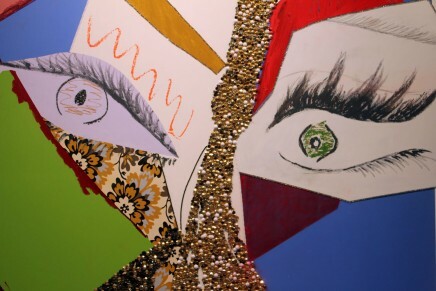 The animals are exhibited before beautiful green/blue distressed abstract canvases. 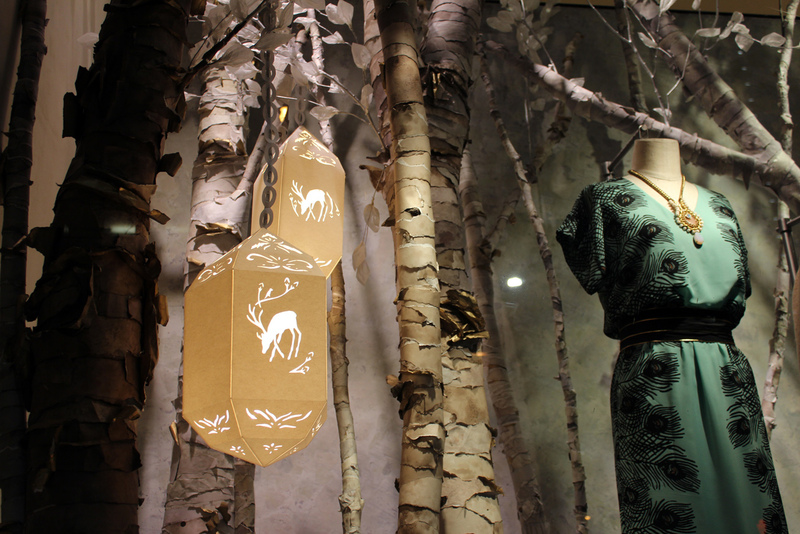 Cut-paper lanterns light a forested display. 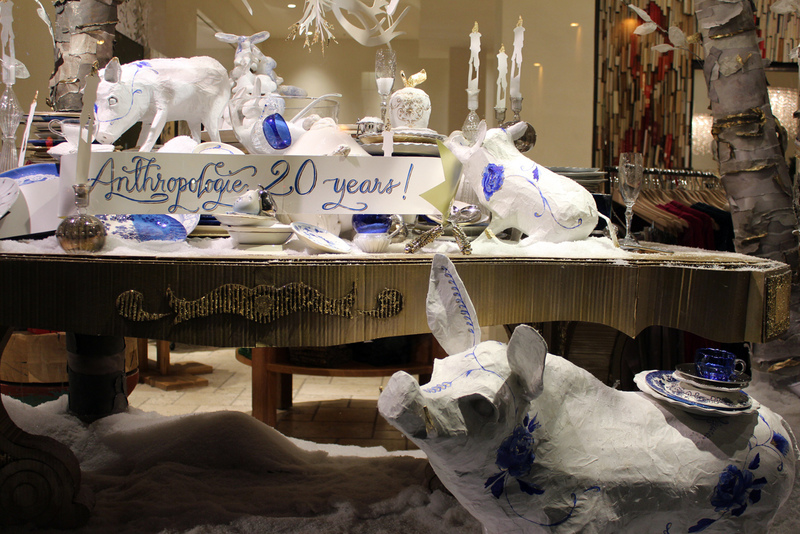 At Rockefeller Center, a celebration table overrun with paper-mache pigs marks the retailer’s 20th anniversary. 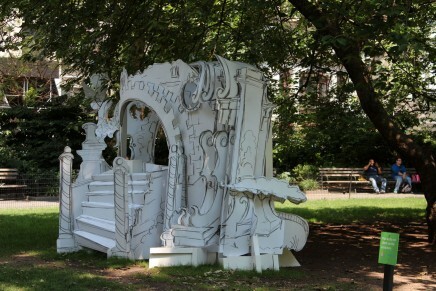 Detail of 20th anniversary tableau. 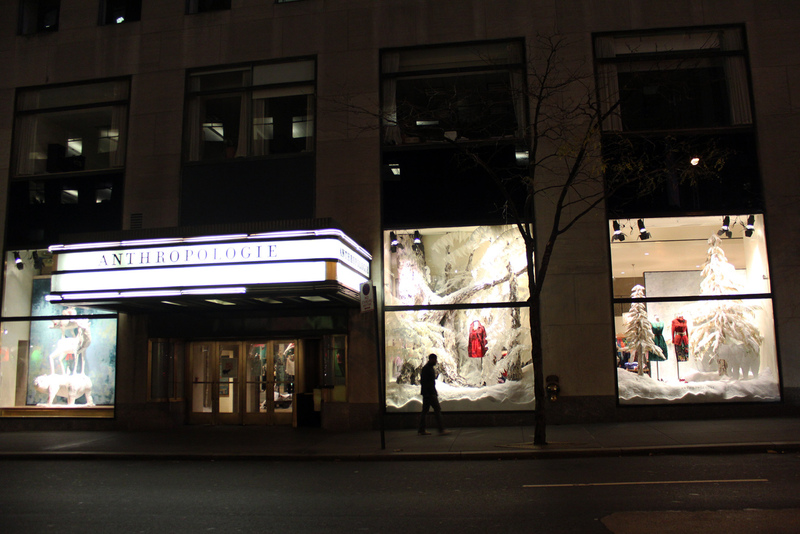 At Rockefeller Center, an arctic fox. 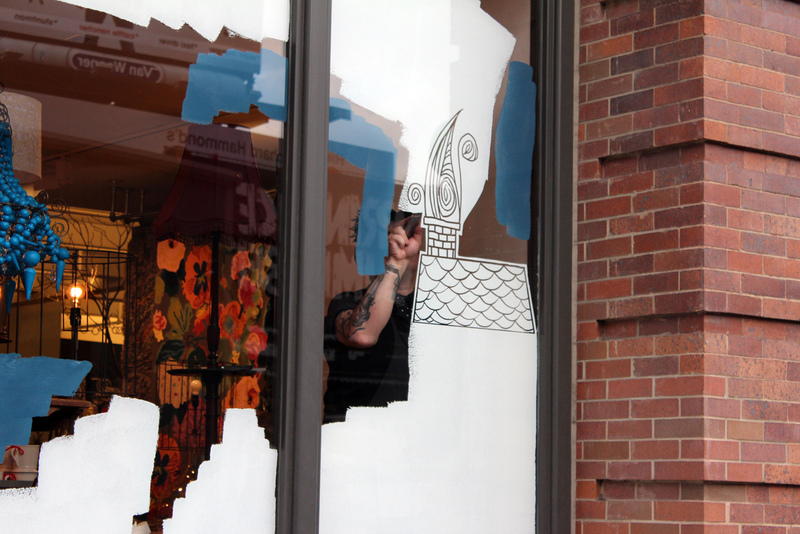 A member of Anthropologie’s visual display team begins a window etching at the Meatpacking store. 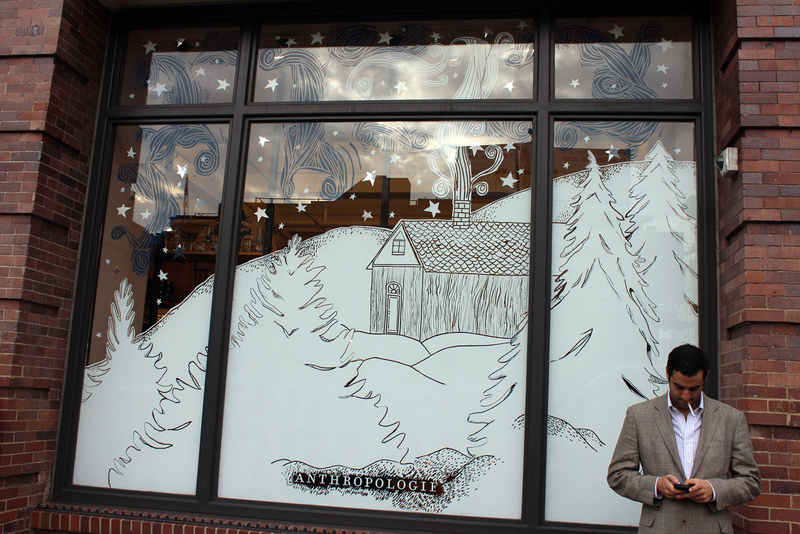 In the Meatpacking District, winter holiday scenes are etched in painted windows. 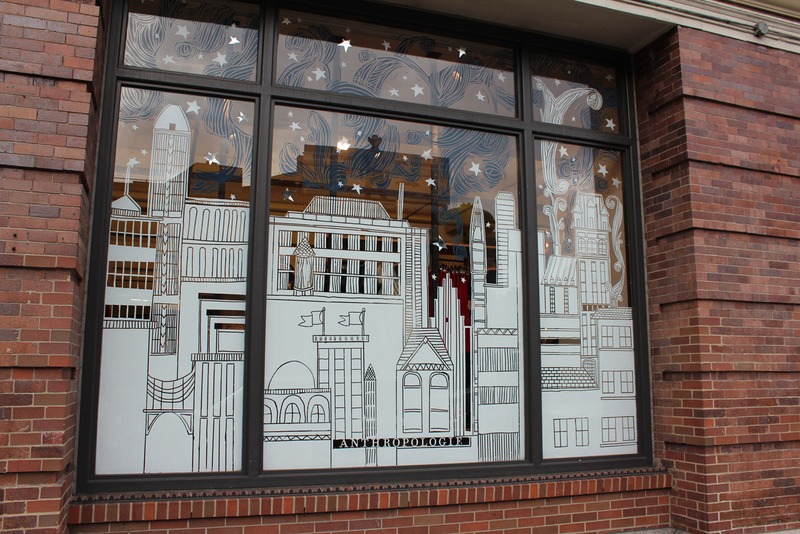 A winter village etched in Meatpacking District window. 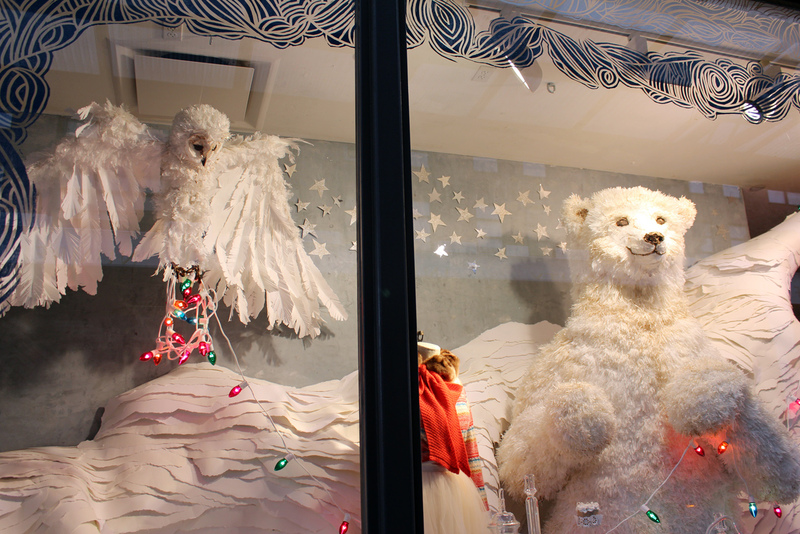 A snowy owl and a polar pair crafted from layers of hand-cut paper at the Meatpacking store.